Data is the most essential attribute for everyone, be it personal or professional; if lost then can create appalled circumstances for the owner. 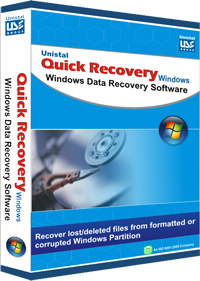 Quick Recovery for Digital Media is a judicious utility that salvages crashed, deleted, damaged, and formatted multimedia files from any storage device. This application embodies rich techniques and features, which makes this application program THE BEST and eminent among the masses. 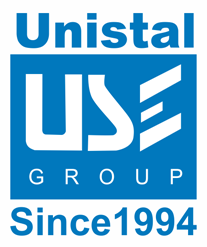 Unistal's photo recovery software speedily recovers deleted photos of all formats (JPG, PNG, JPEG, BMP, TIFF, GIF, MEF, PSP, etc.). This digital photo restoration tool works determinedly to recover image files from hard drives, cameras, and other digital devices. 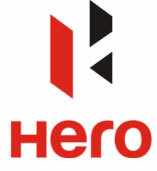 It retrieves lost & deleted photographs from all brands of digital cameras like Nikon, Canon, Olympus, Kodak, Fuji, etc. Indeed, the tool also supports video recovery. It helps in recovering crashed, damaged, and mistakenly deleted video and movie files of any of the format, such as MP4, AVI, 3G2, MPEG, MKV, Divx, DV, etc. Furthermore, the Digital Media application also allows to track back your damaged soundtracks. If any of your favorite song is deleted, this software profoundly helps in getting the data back. It supports retrieving of MP3, WAV, WMA, MIDI, AU, AIFF, OGG, RM audio files from any hard drive and USB attachable device. Easy to use, this software itself will guide you to throughout the recovery process. This platform enables in recovering the recently deleted files, data lost due to recent formatting of logical drive/disk partitions from variety of storage devices including Compact Flash, Memory Stick, MMC Card, etc. You can select the desired logical drives or disk for scanning process. Note: You can specify the range where you want to search the deleted/ formatted files by entering the "Starting Range" & "Ending Range".. Disk Imaging is a special feature of creating an exact image of the Disk at any particular point in time. One can compare a disk image to a photograph. The disk image is capable of being recreated (read data recovery) into the actual disk contents. Note: The disk image should not be stored on the same Disk, which you want to protect from data loss. The disk image is normally a heavy file running into several mega bytes of data depending on the size of the Disk you are imaging. This disk image, made especially for the purpose of data recovery, should ideally stored on a removable storage media like Smart Media, Memory Cards, IBM Micro drives, Multi Media Card, Kodak Picture Card, Picture Cards, Canon Secure Digital memory. Result-oriented, cost-effective, and risk-free are the bench mark pillars of this software. Totally advance and reliable as it has been tested and proffered immensely in the market. The tool assures complete recovery of files within fractions of a second, that too, without bothering any human intervention. In addition, a demo is also offered to the clients, thus, the efficiency can also be checked beforehand.